A 2002 study published in the Journal of Biomedical Sciences, for instance, observed a causal effect between the MMR vaccine and autism, particularly with regards to the measles portion of the vaccine. The researchers from Utah State University concluded that MMR is capable of inducing an abnormal measles infection in some children, which in turn can lead to neurological problems that fall under the umbrella of ASD. Another study published in the journal Entropy in 2012 observed a strong correlation between the MMR vaccine and autism, except in this case aluminum was the culprit. According to an abstract of this study, vaccines that contain aluminum are particularly toxic to children, who end up later being diagnosed with ASD, as they have insufficient serum levels of both sulfate and glutathione. The aluminum found in some vaccines, in other words, appears to be a primary aggravator of ASD symptoms. "Regardless of the MMR vaccine and autism debate, there are still a number of studies that link vaccines to a possible autism connection," writes Walia. "[M]ultiple courts worldwide have ruled in favor of vaccines causing autism, brain damage and other complications that include the MMR vaccine," he adds, noting that many other side effects besides autism have been observed in relation to vaccines. 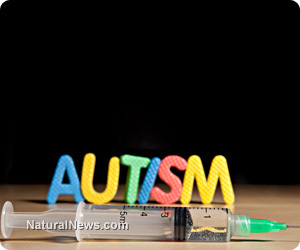 Perhaps the most interesting aspect of Walia's extensive research on the subject is the fact that there appear to be multiple ingredients in vaccines responsible for triggering autism. Besides toxic metals like aluminum and mercury, vaccines also contain adjuvant materials, preservatives and other additives that have all been identified as culprits in the studies listed in his article. Realistically, each of these additives is most likely toxic both in isolation and in combination with the other additives, eliciting compounded toxicity depending on the mixture. "Oxidative stress, brain inflammation and microgliosis have been much documented in association with toxic exposures including various heavy metals," admits one study out of Massachusetts General Hospital, which verified that autistic individuals possess a unique type of neuroinflammation in their brain tissue that points to vaccine damage. Several of the studies listed in Walia's report also pin thimerosal, a toxic mercury derivative that is still being added to multidose vials of flu vaccine, as a trigger in causing the types of brain damage linked to autism. One particular study out of the University of Texas Health Science Center found that for every 1,000 pounds of mercury released into the environment, there is a consequential 61 percent increase in autism rates. With thimerosal-containing flu shots now being administered to children as young as six months old, it is highly plausible that ASD-associated brain damage is still occurring as a result of mercury being injected directly into muscle tissue.